Press Where in Long Island City could Amazon’s 25K workers end up? 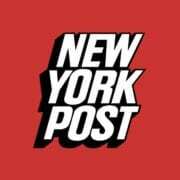 Now that Amazon has announced that it will bring its HQ2 and 25,000 workers to Long Island City, the New York Post is reporting on the many different spaces that the company may end up occupying. One option is Chris Yu’s forthcoming tower at 22-15 44th Drive, which is set to rise 964 feet and feature 802 units at just over $1 billion. The tower is already on its third floor and will be complete within two years, according to Eric Benaim of Modern Spaces, the Queens-based real estate group that is handling sales for the project. Modern Spaces also has a host of residential buildings in its portfolio and should be the first call for any investors looking to capitalize on the waves being made by Amazon’s imminent arrival in the growing neighborhood.